7 feet high x 16 inches diameter, 100 lbs. Silton has an ongoing interest in the coding of language(s), and the ways that text and image are used to contain, to classify, and to control. Propaganda—from postage stamps to advertising to leaflets dropped from the air—has been an ongoing area of investigation. A series of works was initiated in September 2006, with the internet purchase of a Vietnam-era leaflet bomb, which Silton has presented as a freestanding sculptural object titled [EMPTY], referencing text that appears directly on the bomb. 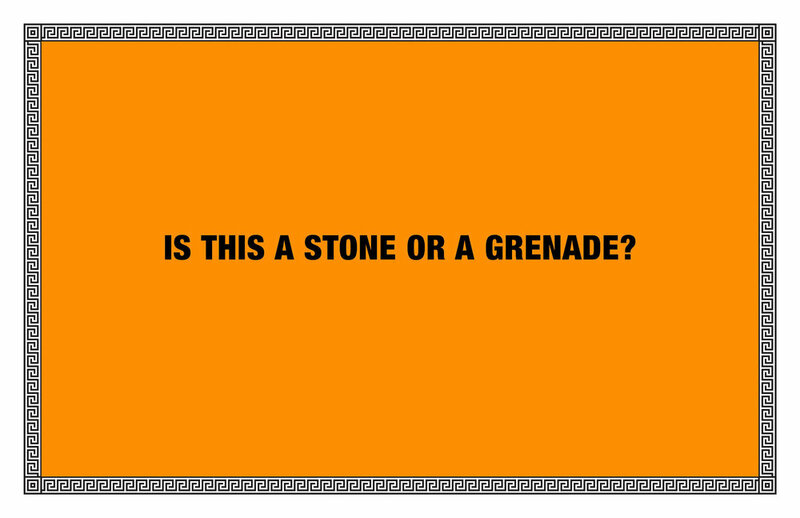 Each of the five postcards comprising the series By power of suggestion… bears a text which was extracted from a leaflet or handout distributed to Iraqi populations between 2003-04. 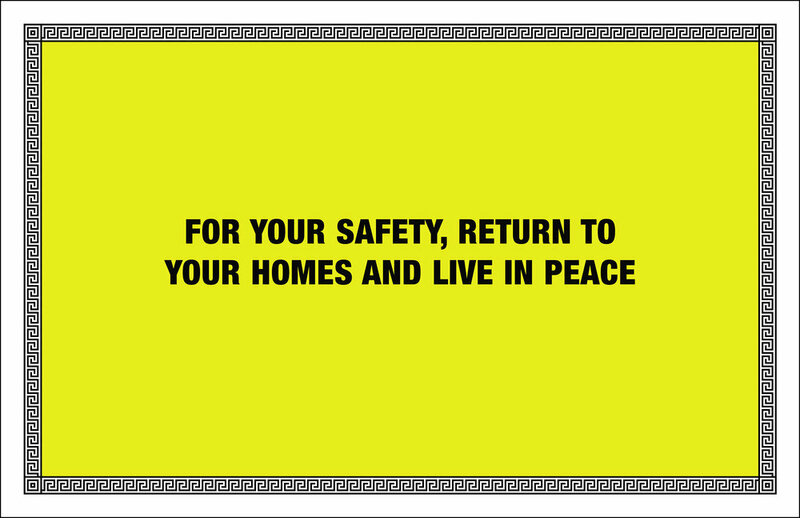 The texts have been translated from Arabic and placed on a fluorescent background within a decorative border. Stripped of their original contexts, which often included images and/or additional text, the language on the face of the postcards intend to read as ambiguous and charged. Silton has distributed cards by various means, including via mail. The project originally presented at University Art Gallery, UC Irvine, as part of the 2006 exhibition The Look of Law, organized by artist/educator Simon Leung. A second edition of the cards was produced and distributed as part of the 2007 exhibition, Crimes of Omission, organized by art historian/writer Richard Meyer at ICA, Philadelphia. 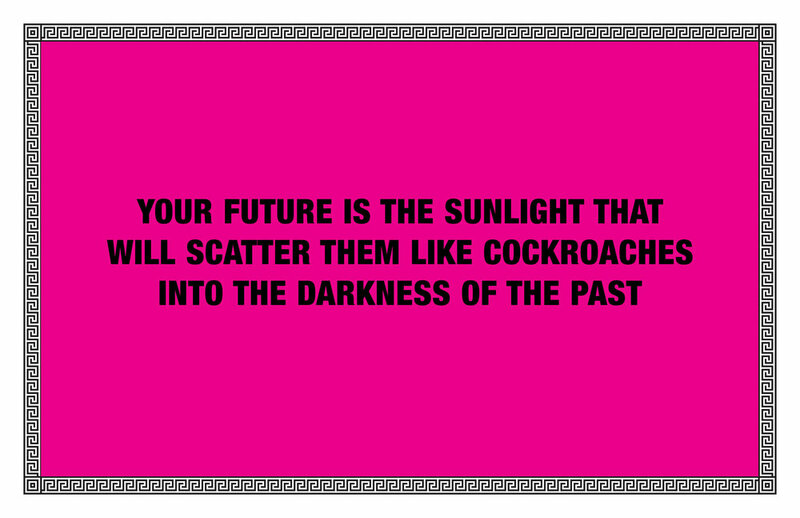 An additional sixth card was produced as a special inserted edition in the Los Angeles-based art journal, X-TRA, in 2007. By power of suggestion which in favorable circumstances becomes instruction #6, 2007.